Hardwood Floors, Travertine, Faucets, Showers, Bathroom, Heated Floors, and Vanities ! I care about your project and the selection of hardwood flooring or faucets you make. I will offer you my insight as to what looks good and is aesthetically pleasing. I will answer your phone calls and even show up, if you need me. I understand customer service. Superiority – I offer you top-of-the-line products at the price you can afford: Mahogany, Walnut, Cherry, Maple, Stranded Bamboo, or Oak; Stair Treads and Risers; Travertine, Marble, or Granite; and Heated Floors. Do you have pets? Get my recommendations on floors for pets. Creativity – I know what looks good and last a lifetime. I have worked in homes built 20 years ago, and the amenities are still pleasing and in style. I think about every board, every piece of stone, every faucet, and every color that must be installed. If I have doubt, I call the manufacturer and get their engineers on the phone. I have installed Hardwood, Travertine, and Faucets in 5,000 sq. ft. ~ 7000 sq. ft. homes in the Florida Panhandle-Rosemary Beach, Seagrove Beach, Watersound, Mack Bayou, Okaloosa Island, Fort Walton Beach, Shalimar, Navarre, Navarre Beach, and Crestview. Several homes were second and third homes owned by multi-millionaires. Builders and homeowners trusted me to help them and you can too. They rarely were they present on site or at their homes. Charm and Warmth – Is this what you want? You want your home to feel warm and charming. Couple that with quality products and installation, industry standards, and 100% guarantee. Hardwood, Travertine, and Brush Nickel Faucets bring charm and warmth to your living environment and add ease and pleasure to your work. When you wake up in the morning or return from work, your kitchen, master bedroom, and bathroom are inviting and a pleasure to use. Whether floors, bathroom, bedroom, kitchen, or sunroom–Mahogany, Walnut, Cherry, Maple, Oak, or Travertine–you want an environment that fits your personality. Exclusivity – You will have the opportunity to install customized and unique products in your homes. If you need fireplace mantles, beams, and specialty products, please let me know. Flexibility – Flexibility is a key ingredient to success. There is no such thing as a flawless or perfect construction or remodeling project. I like the High-End traditional look. I’ve worked in several high-end home ranging from 2,000 ~ 8,000 square feet. Oftentimes, these houses have 7, 8, or 9 bathrooms. I’ve installed hardwood, marble, stone, and tile. If the shower is large, I like doing a split design – a combination of Travertine and Marble or Tile and Marble, diagonal and straight lay on walls with a 4” or 6” marble or travertine border along the center. I like for the “potty room” to be Tile, with wall Tile about 4 feet high, capped off with a 4” travertine or marble border. I like large square plates for floors and walls. Nothing under 16” wide and over 20” wide. You got it … between 16” and 20”, depending on the amount of open space. I like the vanities and cabinets to be walnut, Brazilian Cherry, or Maple/Pecan with crown molding accent. There are other designs that I like such as pebble stone and slate. I love Ipe and Brazilian Cherry floors along with tile on 45o with 4” marble insert throughout kitchen, bathroom, or dining room. I have experience and a lot of information that I don’t have time to list on this site, such as triple moisture barriers, shower seats, bullnose corners, knee walls with glass, shower panels, faucets, and more. I will provide to you my full living knowledge and hold your hand through the process. I will give you advice on style and character, and money saving tips, but you must purchase through my recommended source. They are industry leaders and leaders in your town or state. I am a Hard Surface and Bathroom Consultant and will show you what looks good and will last a 20 years or longer with average use. Most of my work was accomplished along the Florida Gulf Coast in Walton County, Okaloosa County, Santa Rosa County; and Hanover Maryland, Atlanta Georgia, and Dawson Georgia. Most of my work was performed in high-end communities and provided service for companies such as St. Joe, The Jackson Group, Koast Construction, PonderRosa, Fountain Design, Decks & Such, and Carpet City. I have been hired direct by homeowners. 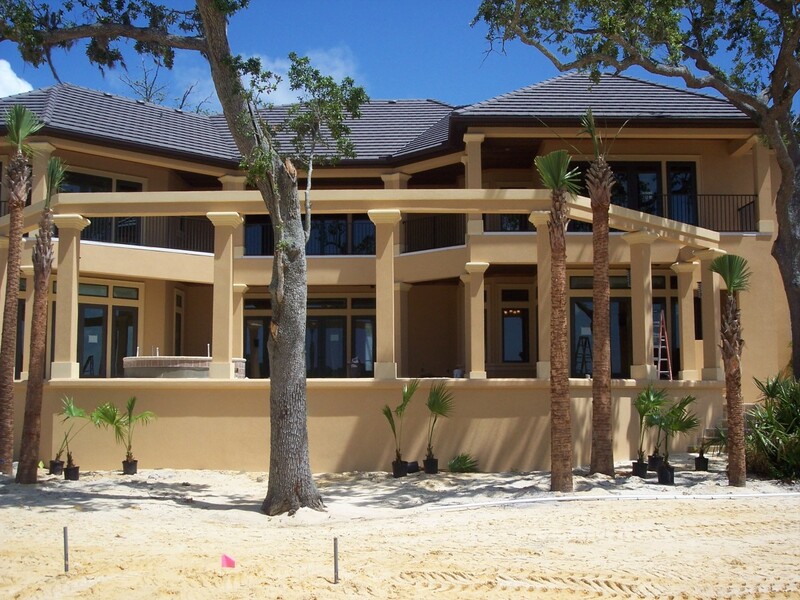 Navarre (waterfront communities built by Fountain Design), East Bay, and Navarre Beach. My name is Jimmy Harris. I have several years of experience in Hardwood Flooring, Porcelain Tile, Travertine, Marble, and Bathrooms. I pay attention to details, and I listen to the customer.